We had gotten a late start to the day. It was approaching noon, yet the island still seemed to be in a lazy Sunday morning slumber. The rain clouds were emerging from over the mountaintops in the West, just as they had done the day before, teasing us in the humid heat, threatening the torrential downpour that the rainiest place in Japan was expecting (during what has annually promised to be the rainiest week). A lush, thickly forested blanket climbed the slopes off to one side, covering almost all of the island’s mountainous interior, shrouding in its depths some of Japan’s oldest cedar trees. 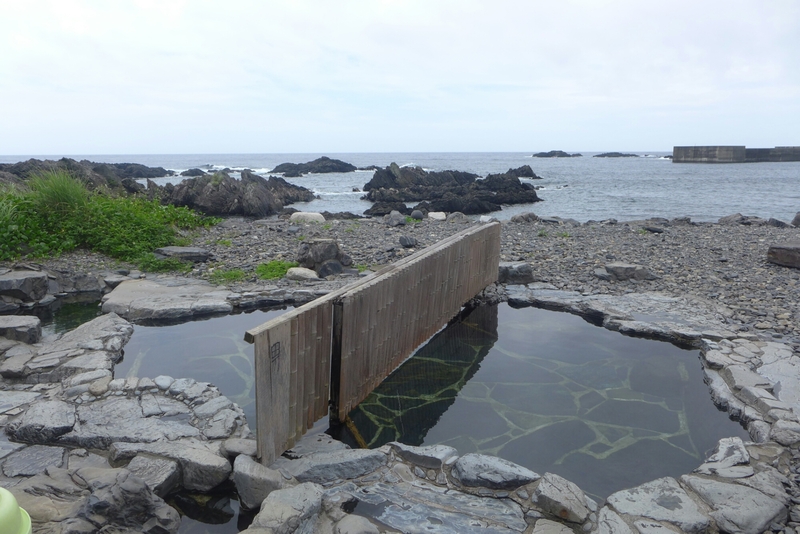 The vastness of the Pacific stretched off on the other side, accentuating the stillness that captivated Yakushima. An empty road extended in front of us, hugging the 88 kilometers of coast that enveloped the island, twisting through quaint, quiet towns and an endless sea of green, complimented occasionally by the daunting presence of a waterfall that would emerge magnificently from the mountainside. Emmi had run across the street to a gas station, where a lone worker who had taken an interest in our bizarre thumbing activity was cutting a piece of cardboard so that we could make a sign. In the meantime, with the female component cut out of the equation and my chances of getting a ride drastically reduced, I hopelessly attempted to wave down the rare car that happened to pass by, relying on my smile to out-charm the scare-factor of a large, disheveled, bearded foreigner soliciting rides on the side of the road. With the ominous clouds slowly casting a growing shadow over the island, it seemed that a significant portion of the population of roughly 13,000 had decided to take refuge in the comfort of their homes, in anticipation of the storm. Most shops were closed, the streets were empty, and the light stirring of leaves in the soft breeze was the only soundtrack to our excursion. Why were we hitchhiking? The simple answer was that we didn’t have any money. 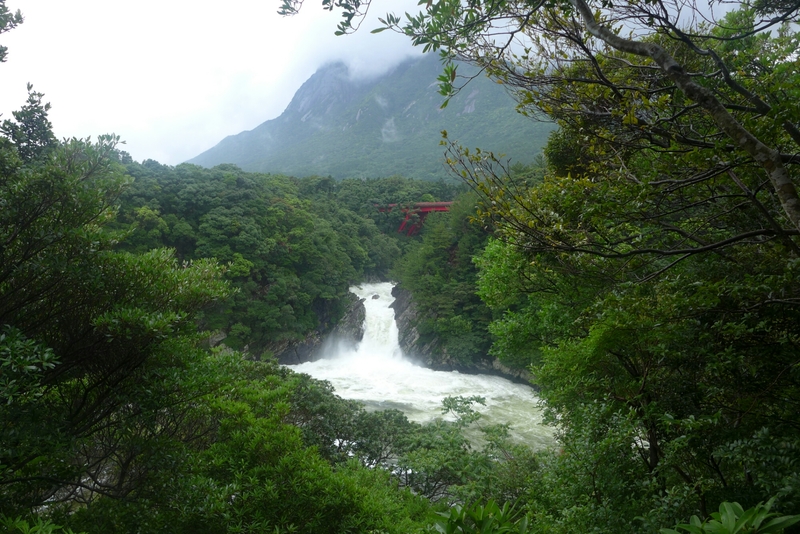 Which raises the question, what on Earth were we, as students and low-budget backpackers, doing in Yakushima, one of Japan’s more remote and expensive destinations, drawing in less visitors in one year than the Louvre attracts in three weeks? Well, that would prove to be part of the adventure. To be honest, we had arrived a little more prepared than ‘no money,’ but as luck would have it, the cheap ferry from the mainland was out of service due to scheduled maintenance, during the exact period of six days that we would be in Yakushima. So, dumping twice as much into a pricier, round-trip hydrofoil ticket, paying off our accommodation, and stocking a week’s worth of groceries into our fridge, we had a bit left over for admission fees and ’emergencies’ (later to be referred to as ‘wine’). So, there we were…young, hopeful and full of energy…sign in hand, thumbs up high and spirits higher, with a long, open road ahead of us…rooted on by the occasional cheerful and motivating gesture from the attendant across the street. A white station wagon that had slowed to a roll while passing by pulled over just past the gas station. A man in his early sixties, dressed in what appeared to be a nice set of scrubs – white coat and light grey trousers -, stepped out and began clearing the rear seats of the car. As he moved boxes, filled with what appeared to be bottles of various chemicals, to the trunk, we hesitated, still not quite sure whether he had stopped for us. A quick wave of the hand from our new ride, and a happy thumbs up from the gas station attendant, got us scrambling over. “Just one moment” was all we got out of the old man as we appreciatively waited, and soon enough we were on our way. “So des neeee,” one of the several Japanese phrases that had become so familiar to my ears, kept echoing from the front of the car amidst Emmi and Hikaru’s conversation, accompanied by long translations to keep me involved and in the loop. Focused on the road, Hikaru seemed a bit quiet and reticent, something I’ve found to be not all that uncommon among the Japanese. Yet his interest in our story slowly began to reveal itself as we made the long hike to the North of the island. Where were we from? How did we meet? Why was Emmi’s Japanese so good? Did I realize that with my beard, I looked scary standing on the side of the road, and that if I were alone he probably wouldn’t have picked me up? Hmm…duly noted. 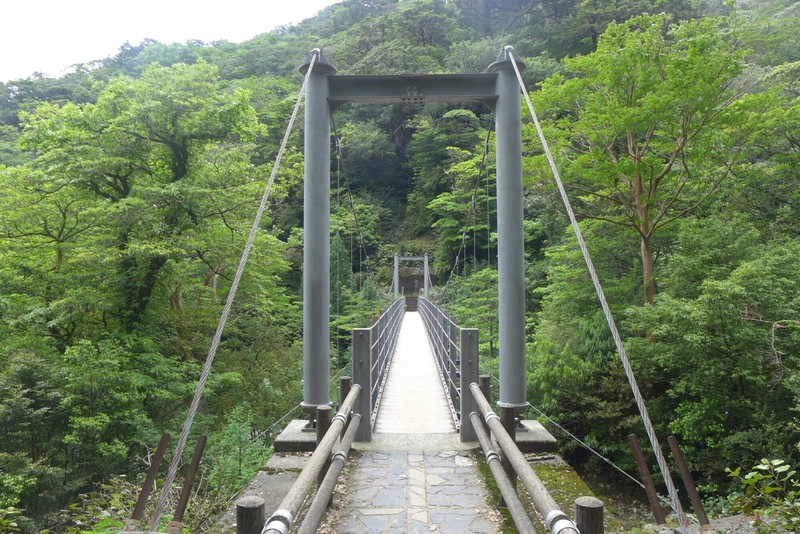 Our destination was Shiratani Gorge, a lush forest located in the mountains, famous for its expansive, moss-covered, almost mystical scenery. Upon getting dropped off at the base of the mountain, we’d have to find another ride to the top, start our hike, and get back down, all before the storm hit…like I said, all part of the adventure. As I stared out of the back window, admiring the surroundings and wondering if we would be able to beat the rain, the car came to an abrupt, screeching stop on the side of the road. I figured that was our stop, but as I got ready to leave the car, I noticed that Hikaru was looking at Emmi with an expression that I still have difficulty describing – a mixture of shock, excitement, and happiness. Something had happened, but I wouldn’t be filled in for a while. They continued conversing and laughing for a bit, and then we were off again…this time ascending the mountain road. 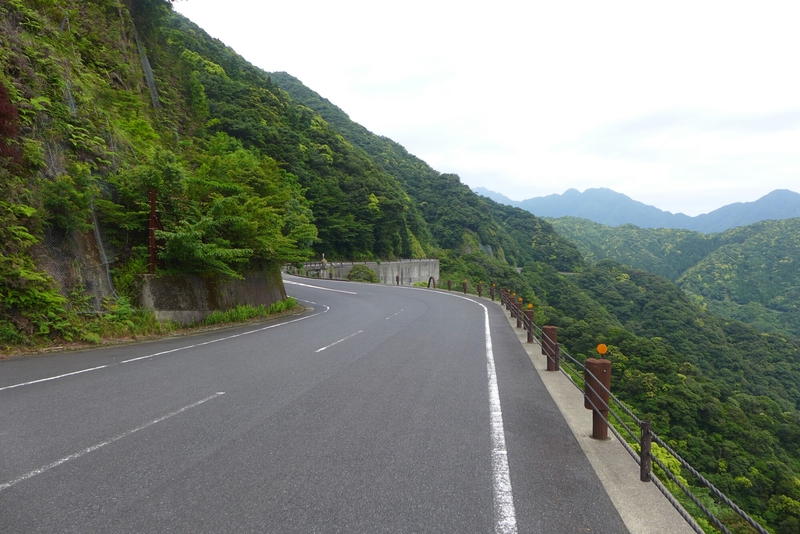 After another 45 minutes of driving, Hikaru kindly dropped us off at the entrance of the Shiratani Gorge and left, working his way back down the mountain to attend to his business. Emmi and I started one of the longer hikes through the forest, and I was brought up to date on their heated conversation – apparantly, there was a young, married expat couple living in Yakushima, Sarah and Mathieu…Sarah was giving Hikaru English lessons, and Mathieu was applying to attend the same university that Emmi was studying abroad at in Kobe…and this connection got Hikaru so excited that he screeched to a halt while driving and then agreed to go an hour and half out of his way to drop us off. Just as I was thinking how nice this man had been to us, I quickly learned that his interest in us wouldn’t end there. The rain never came. There was a constant tease, with light drizzles that seemed to be just enough to make the moss-covered stones even more slippery. The brilliant canopy that towered overhead shielded us, every now and then letting in a ray of sunshine that glistened against the tiny drops of water that coated everything, adding to the unique charm and allure. There weren’t many people on the trail, only magnificent cedars whose roots seemed to extend endlessly. The occasional deer roamed carelessly and gracefully in the surrounding foliage. There was life everywhere…fresh, thriving, ancient and new life, in a delicate balance and harmony. And at the end of our three hour hike, there was Hikaru. He had been waiting for us for half an hour, even though he had given us his number so that we could call him when we were done. And he had treats for us as well…iced coffee, juice, and some sweets. 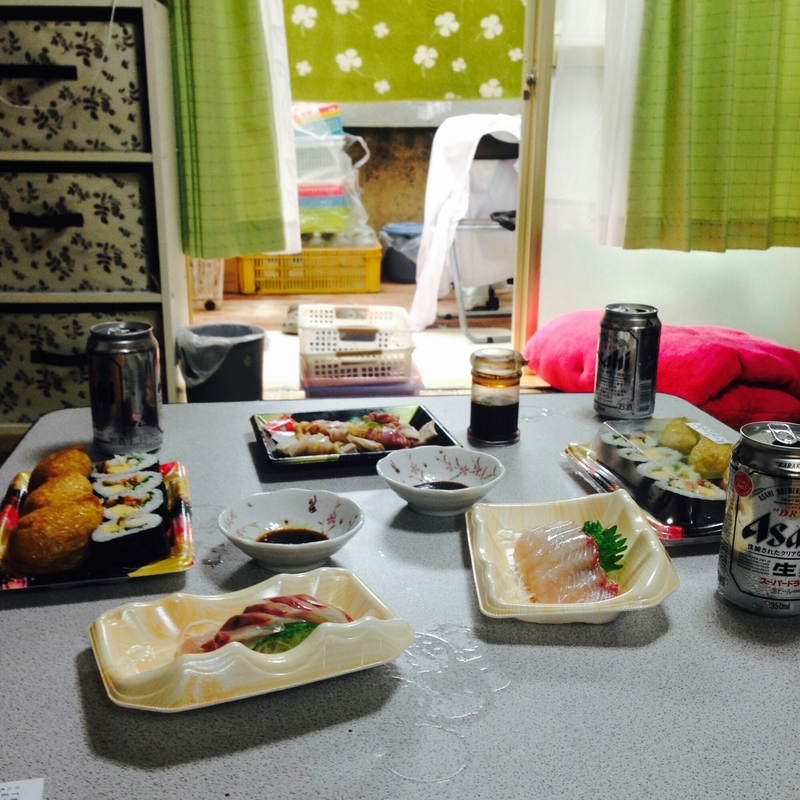 As we descended from the clouds, Hikaru told us that he wanted to treat us to lunch. And so began the formation of a unique bond between us and this old man, along with an invitation to his life and story. The rest of the day evolved in such a pleasant and perfect manner that Emmi and I kept catching each other’s eyes in a gaze of disbelief. Hikaru practically dropped everything he had to do so he could take us around the island and show us around. 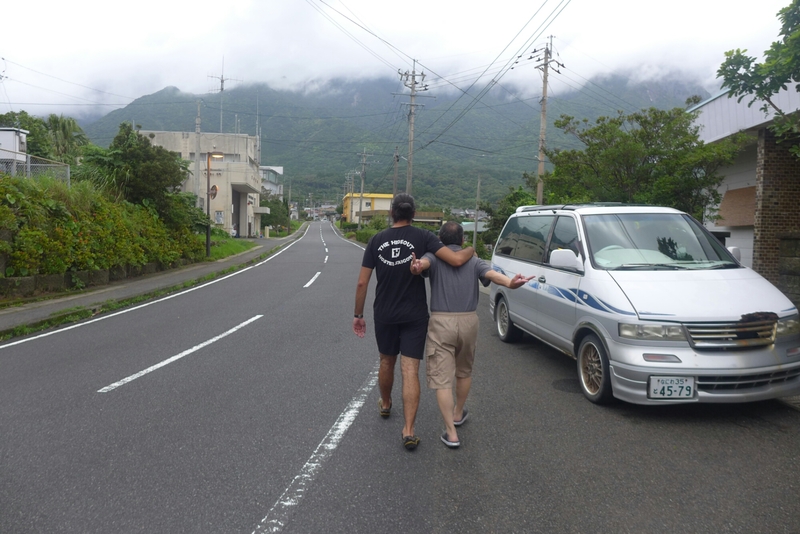 Being the only veterinarian in Yakushima, his main task was to monitor the health of dozens of pregnant cattle on a farm in the southern part of the island, but the occasional house call and errand had him commuting all over. Did we want to see his favorite waterfall that was a 30 minute drive away? Great, he had something to take care of in the area anyways. 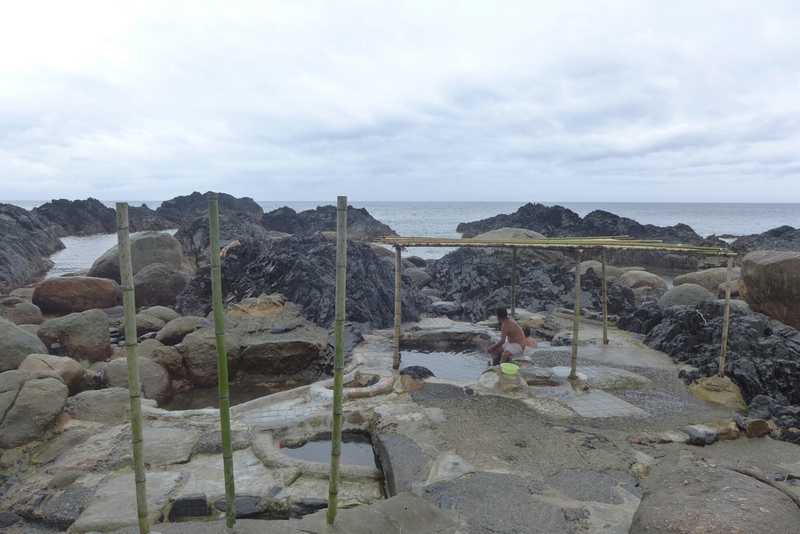 Would we like to go to a seaside onsen, or Japanese bath? Perfect! In the meantime he could run off to the farm for 45 minutes. 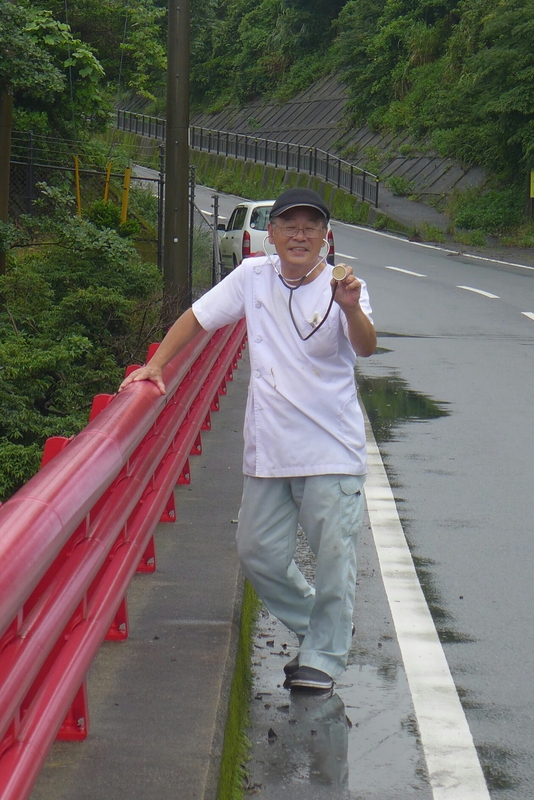 Taking us under his wing, Hikaru was almost like an uncle welcoming a niece and nephew who he hadn’t seen in years…to the point where he would even pull over without saying a word and within a matter of minutes, surprise us with ice cream. The following three days unfolded in more or less the same fashion. Hikaru would swing by our place in the morning, we would take off on some adventure, surprises and gifts would be showered upon us by not just Hikaru but also his neighbors, and warm, comfortable, translation-assisted conversations would continue around the table long after any of the delicious meals or coffee breaks had ended. 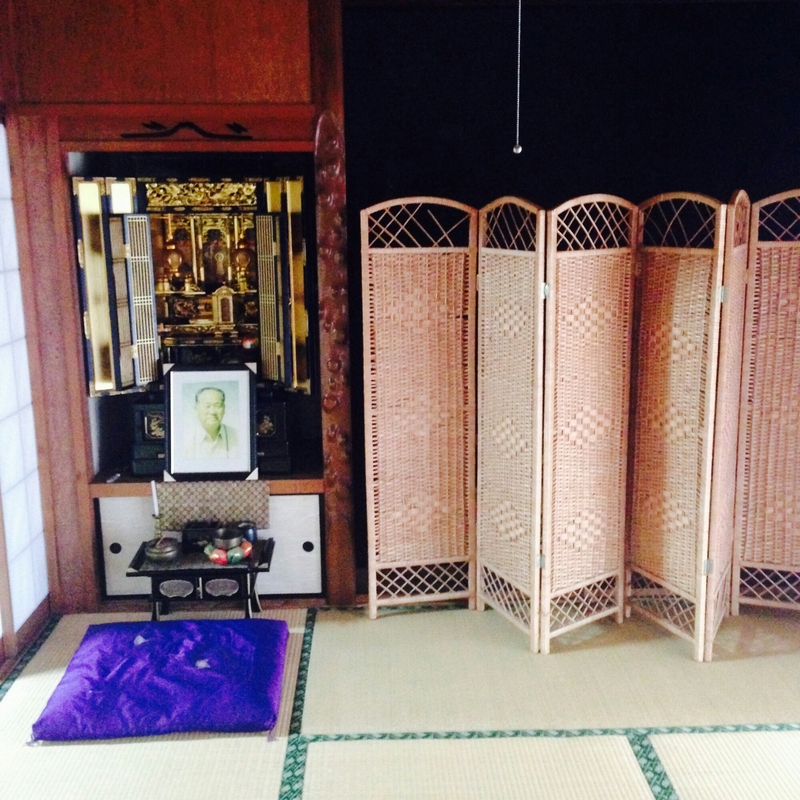 We grew much closer over those days…Hikaru opened up his home to us and made sure we felt as if it was ours. By our last day together, the day we would finally meet Sarah and Mathieu, Emmi and I found ourselves alone in his home, with some cash in our hands and the task of shopping and preparing the table as we wished, to accompany the barbeque selection Hikaru had already prepared for dinner. In the meantime, Hikaru was off to run errands and pick Sarah and Mathieu up. And the surprising thing was, this didn’t even feel strange, but rather natural, as we already knew our way around the house and had spent so much time there. 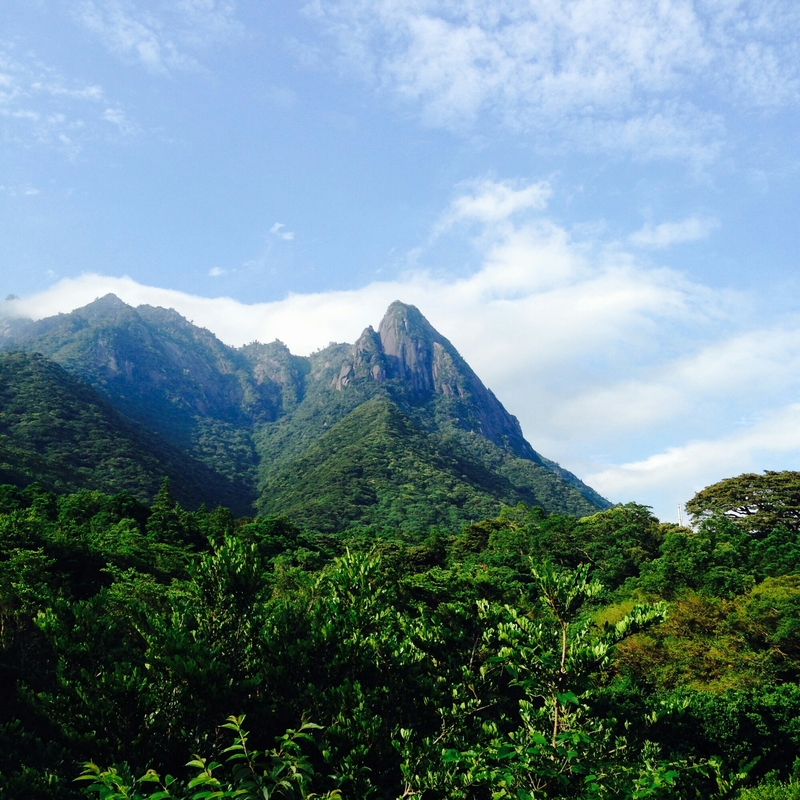 The morning we left Yakushima was an unexpectedly emotional one. 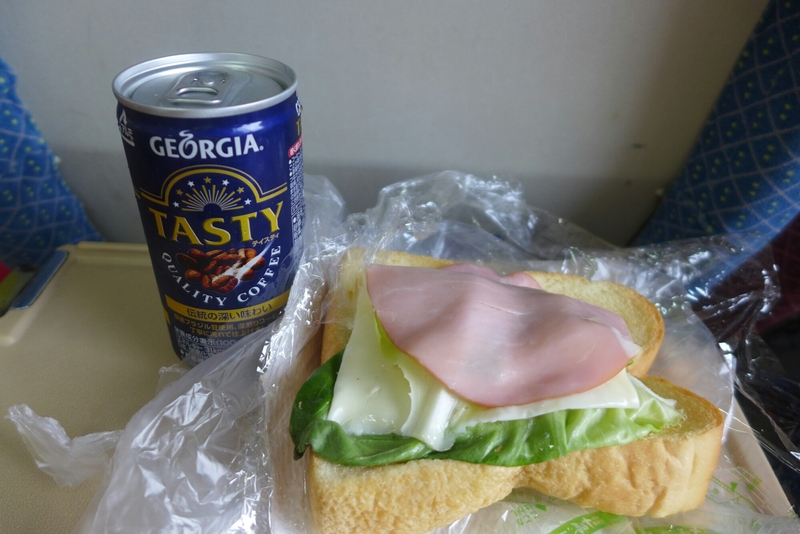 Hikaru had woken up at 4.30 a.m. to make us breakfast sandwiches for the ferry ride, and arrived at 6 to pick us up. At the ferry port, Sarah and Mathieu also stopped by to see us off, with treats of their own. 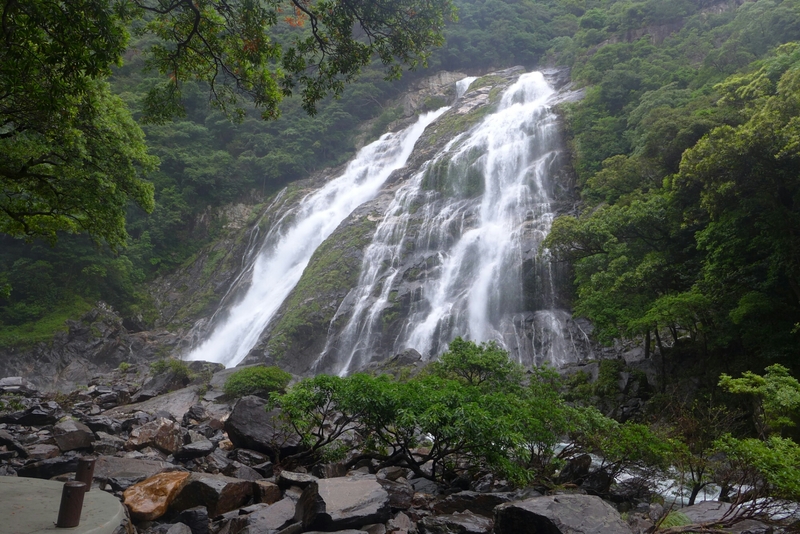 Emmi and I had planned our trip to Yakushima so we could explore one of the most beautiful parts of this country, one where most Japanese hope to visit, to indulge in the rare natural beauty, to experience a remote gem that has been thriving untouched and free from external influence. Not only were we able to achieve this to a much greater and deeper extent than most would even hope for, but we were also fortunate enough to experience a genuine, selfless kindness that is so rare to come by, one that represents and epitomizes the Japanese culture far too well. From the very first day, Hikaru told us it was his dream to meet and spend time with foreigners like ourselves, but due to his timid nature and limited English, he didn’t think this would be possible. 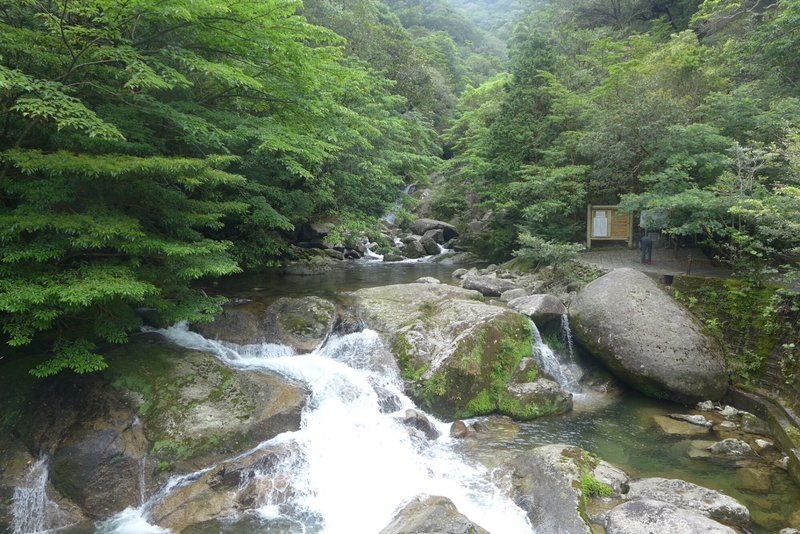 He even said he eventually wanted to turn his house in Yakushima into a guesthouse where backpackers could stay for free, a place to exchange conversation and experience. He told us we were young and shouldn’t spend our money. He always made sure every one of our needs, and wants, was met. 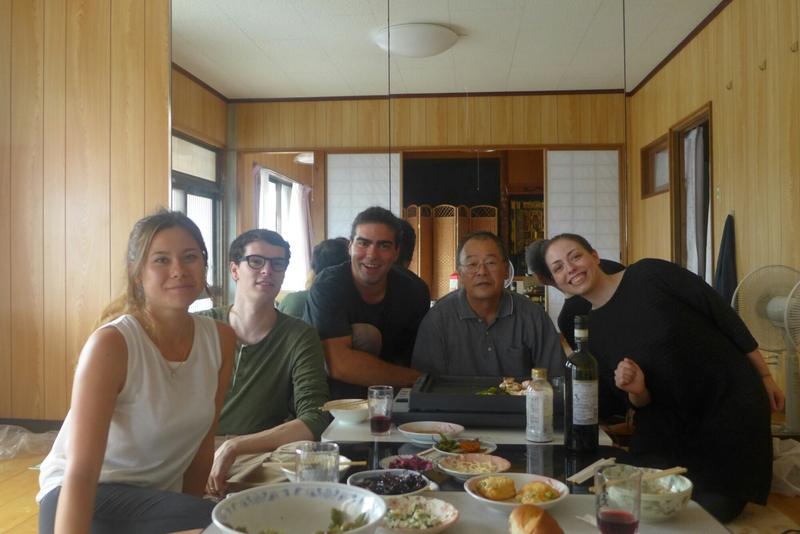 And with each act of kindness, when Emmi and I couldn’t even begin to express how grateful and happy we were, he would tell us how happy we had made him, with a sparkle in his eye that has been engrained into my fondest memories from Yakushima. While preparing for rain, all we found was sunshine. Amazing! What a wonderful experience! Kerem, that is an awesome story and sounds like a great, unique experience! unfortunately I have not read any of your other pieces in the last couple of months. big change on my end on 6/26 was the birth of our son, Owen William. Cora is enjoying being a big sister. we’ll talk soon, let me know when you are back in Chicago and we can go for lunch. Great to hear from you, and I’m glad you enjoyed the story! Don’t worry, I will cath you up on thr ones you’ve missed over lunch. That is wonderful news! Congratulations to you and your beautiful family, and welcome Owen William to already a month with us! Yes…the beard is gone, partly a kind gesture for Hikaru, partly because of the heat…the accumulation of a bunch of reasons, but its nice to feel lighter and cleaner! Best wishes from Japan, and yes, see you very soon!